Whiteflies are on the rise in the south of Florida. The four species of major concern are the ficus, rugose spiraling, bondar’s nesting and silverleaf. Whiteflies feed on citrus trees and plants. They can cause serious damage. 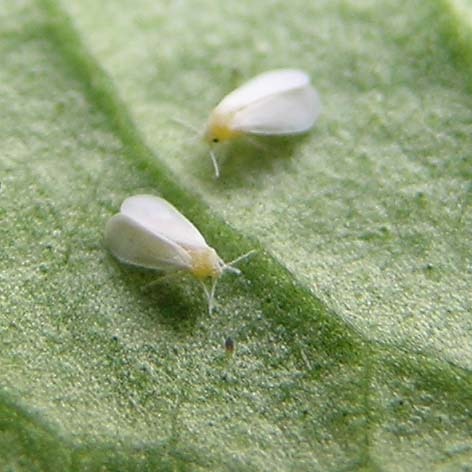 A sucking mouth allows the whitefly to extract sap from plants. A fluid that secretes from the whitefly while it is feeding causes a black fungus called sooty mold to grow. Some fruit trees will completely stop producing because of the pest. Another problem with whitefly infestations is that ants are attracted to the fluid secreted from whiteflies. Homeowners may find that they have an ant problem after whiteflies target their ornamental plants. The telltale sign that whiteflies are present is leaves may turn yellow or appear mottled, or suddenly drop off. The plant starts to weaken when an infestation is constantly feeding on sap. Venice Pest Control has been honored to help protect homes and businesses from pests for over 40 years. We are a family-owned business that provides high-quality pest control solutions at an affordable price. Do you need help with a whitefly problem? Contact us for more information about our services!